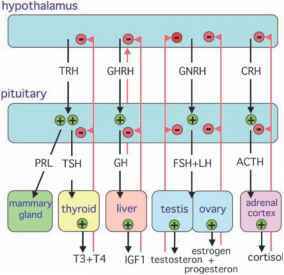 Oxidative stress has been loosely defined as the exposure of cells to increased concentrations of reactive oxygen or reactive nitrogen species (ROS and RNS, respectively). Exposure of cells to ROS and RNS can lead to change in the activities of redox-sensitive proteins. Cells protect themselves from oxidative stress by several mechanisms. These include the maintenance of a redox-buffered intracellular environment1; the production of detoxifying enzymes such as catalase,2 superoxide dismutase,3,4 and superoxide reductase5; and the presence of specific ROS and RNS sensors that can activate various defense mechanisms allowing the organism to survive and adapt to the stress condition.6 In prokaryotes, many redox-sensitive proteins are transcription factors that regulate genes involved in anaerobic and aerobic metabolism. One of the best strategies to quantitatively measure oxidative stress brought on by specific ROS and RNS is an activity measurement of a redox-sensitive enzyme. For example, the iron-sulfur protein aconitase is inactivated by nitric oxide, per-oxynitrite, and superoxide and is used to quantify production of these RNS and ROS.7 Quantitative measurements of oxidative stress in the intact cell, tissue, and organism, however, are lacking due to the dearth of specific assays for various ROS and RNS species in vivo. In this chapter, we describe a sensitive method to quantify the effects of hydrogen peroxide-induced oxidative stress in an intact cell, using a cell culture system and a luciferase reporter plasmid as an indirect measure of intracellular calcineurin activity. 1 F. Rusnak and T. Reiter, Trends Biomed. Sei. 25, 527 (2000). 2 M. R. Murthy, T. J. Reid III, A. Sicignano, N. Tanaka, and M. G. Rossmann, J. Mol. Biol. 152,465 (1981). 3 J. Selverstone-Valentine, L. M. Ellerby, J. A. Graden, C. R. Nishida, and E. B. Gralla, in "Bioinor-ganic Chemistry: An Inorganic Perspective of Life" (D. P. Kessissoglou, ed. ), p. 77. Kluwer, Dordrecht, 1995. 5 F. E. Jenney, Jr., M. F. Verhagen, X. Cui, and M. W. Adams, Science 286, 306 (1999). 6 C. E. Bauer, S. Elsen, and T. H. Bird, Annu. Rev. Microbiol. 53,495 (1999). 7 J. C. Drapier and J. B. Hibbs, Jr., J. Clin. Invest. 78,790 (1986). Calcineurin is a serine/threonine protein phosphatase found in most eukary-otic organisms including yeast, protozoa, and mammals.8"10 Calcineurin consists of a 59-kDa catalytic subunit (calcineurin A) and a 19-kDa regulatory subunit (calcineurin B). 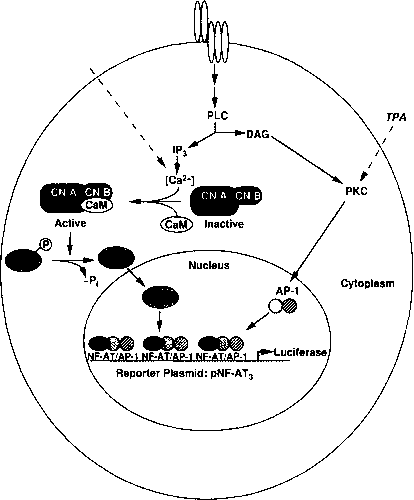 Calcineurin is activated by calmodulin in the presence of Ca In resting cells, in which the intracellular [Ca2+] is low, calcineurin exists in an inactive state. On activation of signal transduction pathways that lead to a sustained rise in intracellular Ca2+, Ca2+ binds to calmodulin, which in turn binds to calcineurin, resulting in a 20-fold increase in phosphatase activity. This model of calcineurin regulation has existed for several years but data from several groups have led to the observation that calcineurin may be regulated by H202-induced oxidative stress. Yu et al. first demonstrated the redox sensitivity of calcineurin activity in vitro,n'12 Subsequent experiments showed that calcineurin lost activity on aerobic exposure to Ca2+/calmodulin in vitro and that calcineurin activity in crude cell lysate was inhibited by hydrogen peroxide, dithionite, and high concentrations of dithiothreitol (DTT).13-16 Although there is good evidence for redox regulation of calcineurin in these in vitro systems, the study of redox-regulated enzymes such as calcineurin outside the cell is fraught with difficulties. The reducing environment of the cytosol has an estimated redox potential of —230 to —255 mV17 20 and is buffered by redox-active species such as protein thiols, glutathione, pyridine nucleotides, and other redox-active metabolites. Cell lysis disrupts this reducing environment. As a result, lysis buffers rarely mimic the intracellular redox potential, thereby exposing redox-sensitive proteins and enzymes to oxygen and a different redox environment. In an attempt to circumvent this, we have developed an assay that provides an indirect measure of calcineurin activity in intact cells. Using this assay, we have demonstrated that H202, but not other physiological oxidants, leads to a dose-dependent loss of calcineurin activity. Thus, this assay also provides a sensitive and quantitative measure of H202-induced oxidative stress. 8 F. Rusnak and P. Mertz, Physiol. Rev. 80, 1483 (2000). 9 J. Aramburu, A. Rao, and C. B. Klee, Curr. Topics Cell. Regul. 36, 237 (2000). 10 S. Shenolikar and A. C. Nairn, Adv. Second Messenger Phosphoprotein Res. 23, 3 (1991). 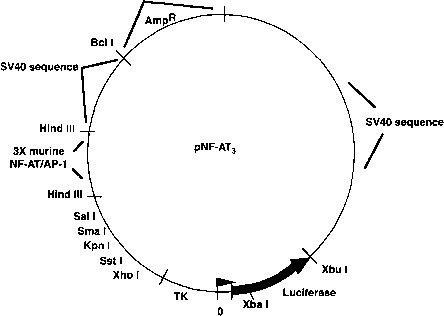 11 L. Yu, J. Golbeck, J. Yao, and F. Rusnak, Biochemistry 36, 10727 (1997). 12 L. Yu, A. Haddy, and F. Rusnak, J. Am. Chem. Soc. 117, 10147 (1995). 13 X. Wang, V. C. Culotta, and C. B. Klee, Nature (London) 383,434 (1996). 14 M. Carballo, G. Marquez, M. Conde, J. Martin-Nieto, J. Monteseirin, J. Conde, E. Pintado, and F. Sobrino, J. Biol. Chem. 274, 93 (1999). 15 T. A. Reiter, R. T. Abraham, M. Choi, and F. Rusnak, J. Biol. Inorg. Chem. 4, 632 (1999). 16 A. Ferri, R. Gabbianelli, A. Casciati, E. Paolucci, G. Rotilio, and T. Carri, J. Neurochem. 75, 606 (2000). 17 D. Williamson, P. Lund, and H. Krebs, Biochem. J. 103, 514 (1967). 18 R. L. Veech, R. Guynn, and D. Veloso, Biochem. J. 127, 387 (1972). 19 H. F. Gilbert, Adv. Enzym. Relat. Areas Mol. Biol. 63, 69 (1990). 20 C. Hwang, A. Sinskey, and H. Lodish, Science 257, 1496 (1992).